Home » Holidays » Mother's Day » STEAM Crafts; Perfect For Mother’s Day and Through The Summer! STEAM Crafts; Perfect For Mother’s Day and Through The Summer! Here in the UK, Mother’s Day is celebrated on Mothering Sunday; usually in March; but as I’m from Canada I like to celebrate it in May….and this also gives hubby and the kids to pick up a small gift on sale after the UK event (why spend more than you need to – or get more for the same price!). But of course, my favourite gifts are those from the heart and handmade gifts from the kids are my favourite! To help you out with some craft ideas for your children, or ones you care for, here are 16 STEAM crafts….that are great year-round, but also perfect for Mother’s Day! 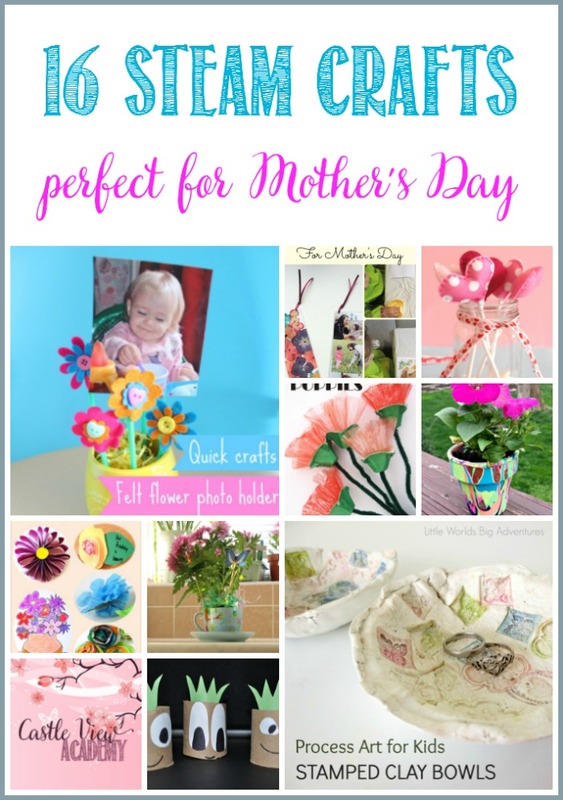 All of these great Mother’s Day craft ideas are from my Kid Blogger Network friends, and I thank them for sharing their best ideas with me so that I can share them with you. I just love the way each family has put their own spin and personality into these gifts from the heart. Have fun looking through them all, as well as taking the time to wander around their websites to see all the other cute ideas they have! chloe me just me puts a twist on felt flowers and turns them into photo holders to brighten up a day. 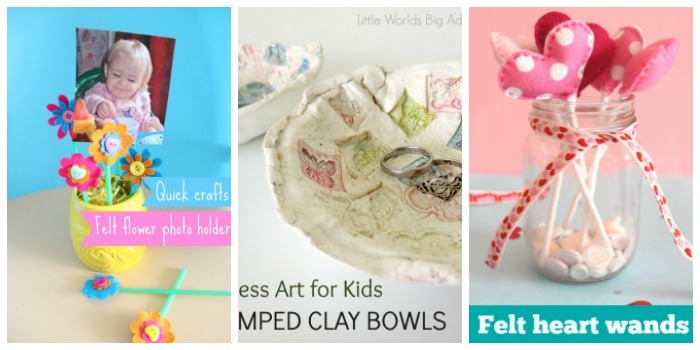 If your child enjoys process art, they’ll love these stamped clay bowls at Little Worlds. Make a bouquet of felt heart wands for Mom to show her your love; choloe me just me has the instructions. 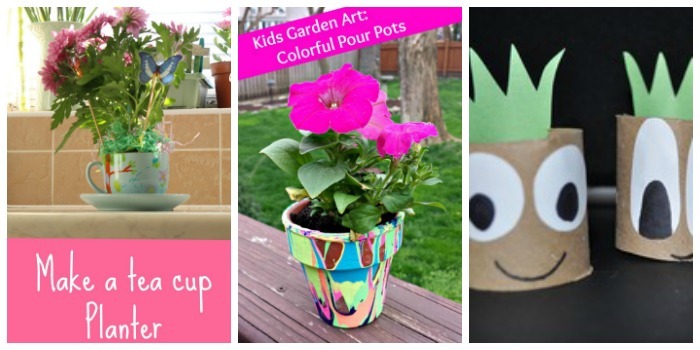 iGame Mom has 8 flower projects for kids: there’s something to suit every style. 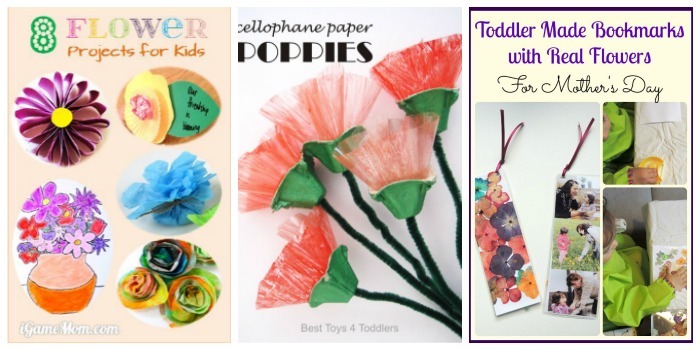 These cellophane paper poppies by Best Toys 4 Toddlers look so delicate, just like the real thing. Uno Zwei Tutu shows you how to make these beautiful flowered bookmarks for avid readers. This tea cup planter is perfect for those moms who enjoy a cup of tea in the morning. Find out how to make it at chloe me just me. Discover. Learn. Connect. shows you how to make these unique colourful pour pots. Easy Crafts For Kids has some cute and practical plant starters. This would be a good project for toddlers. If you like these ideas, you may like our Pretty Posy Wrap, Mother’s Day Fill-in-the-blank poems, or our painted flower pot, so easy, even toddlers can do it.